While the west and much of the Muslim world ignores Yemen and Palestine, they are perfectly happy to wage ‘holy war’ on behalf of China’s western enemies. Ever since the 26th of March, 2015, Saudi Arabia has been committing genocide in Yemen. The innocent people of Yemen have caused a man made cholera epidemic and death from starvation is now a common phenomenon for the children of Yemen, virtually all of whom are Muslim. Where then are the voices of the so-called global Muslim community, the Ummah, when it comes to speaking up for Yemen who are not being killed by Buddhists but by self-proclaimed fellow Muslims? I mention Bhuddists because many are calling for the Saudis to come to the aid of Muslim Rohingya people of Myanmar. Perhaps such ‘Muslim’ voices have forgotten that the Saudis are the primary exporter of terrorism to other Muslim countries, including Syria. Furthermore, Turkey which is saying a lot about Myanmar hasn’t lifted a finger for Yemen either. Frankly, your religion is just a fake cover when you lose your humanity. Humanity is the real essence of religion and those who have no compassion for the people of Yemen have betrayed their own so-called brothers and have revealed their own hypocrisy. In many respects, the issues in Myanmar are just another way for Israel and the west to distract Muslims from the plight of Palestine, the group of mostly Muslim and some Christian peoples who have suffered the longest under oppression, starvation and ethnic cleansing. Unfortunately, the so-called Islamist Mujaheddin cross the whole world to fight in Syria and kill Syrians under the pretext that they are ‘helping Muslims ‘in Syria and that the government is not Muslim! This is just absurd and dangerous on every level. Rohingya has its own ‘free army’ now, something which can only made a bad situation worse. Specially this ‘free army’ used to be known as Al-Yaqeen and is related to branches of the banned Egyptian Muslim Brotherhood movement which continues to receiving funding from George Soros controlled bodies as well as Turkey and the Qatari regime. Recently, the Lebanese television station Al-Mayadeen interviewed a militant in the Rohingya army who admitted he was a fighter, but claimed his only weapons were knives. Sadly, the so called mujaheddin are the fuel and soldiers for every proxy war that America and Israel want to set it up. Myanmar is an important location along China’s One Belt–One Road. Furthermore, Myanmar’s oil and gas resources are vital for China and the United States and other traditional financiers of mujaheddin are well away of this. None of this should be forgotten when trying to gain an understanding of the Myanmar situation. Many of the horrible photos which allegedly depict the Rohingya crisis were fake and while others from from different countries or far away disasters. I’m not denying that they many of the Rohingya are oppressed, but the realities of the situation is very different than what is portrayed in the western media. Those who are quick to believe everything they see in respect of the Rohingya, should remember the White Helmets in Syria who have been subsequently exposed as staging and faking footage to promote their al-Qaeda narrative. We cannot let another Afghanistan happen in Myanmar. To help forge a good solution there, should be a diplomatic initiative and not another proxy war under the name in religion! Mosques in Burma are good and Muslims can go and pray there without anyone hurting them. There are in fact nine mosques there. We cannot afford another western led proxy war in the name of Islam. Such wars only benefit the enemies of all good people, Muslim or otherwise. Diplomacy must solve the solution in Myanmar, not jihad and not jihad’s financiers in the west. For sure. But not of the 1999 Kosovo kind. I know Myanmar well and I have predicted this would happen sooner than later. Indeed yet again it is a proxy war. “Sadly, the so called mujaheddin are the fuel and soldiers for every proxy war that America and Israel want to set it up.”= Sadly, the so called mujaheddin are the fuel and soldiers for every proxy war that Israel sends America taxpayers dollars to set up. Myanmar, as well as Yemen, need UNSC Chapter 7 resolutions for the same reason it was necessary in the Balkans 25 years ago. Sadly the Zionist Occupation Government in Washington would veto any such resolution. Israel is fueling and arming the genocide in Burma while the US is doing the same in Yemen. Yes Israel, AMONG OTHER COUNTRIES is elling arms. Hardly surprising when they see the noble Muslim nation revving up for another round of invasion and destruction. China has great interest in maintaining “peace and stability” in the region as they get their oil from the Rakhine. They will supply arms for sure, and even get involved militarily. IsraHELL is the #2 arms dealer in the world. Not sure what “noble Muslim nation is revving up for another round of invasion and destrutction” unless you’re referring to the Jews’ brothers – Wahhabi and Salafist baboons. 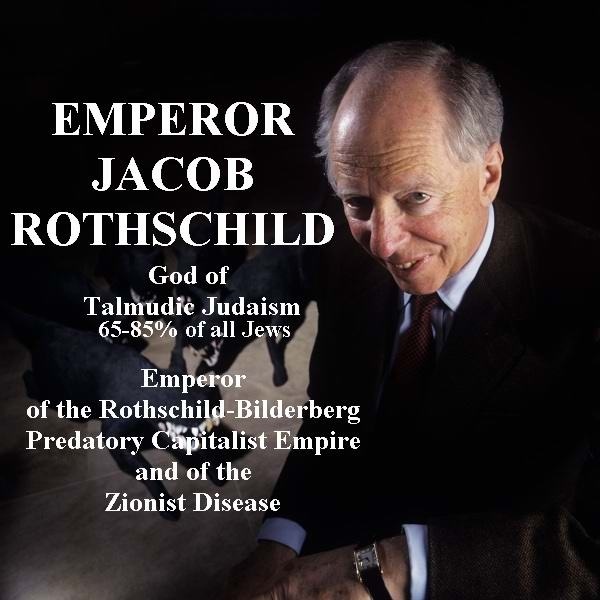 The world is rapidly discovering that Russia, China and the rest of the BRICS nations are the good guys and the “Western” governments are controlled by the Synagogue of Satan.